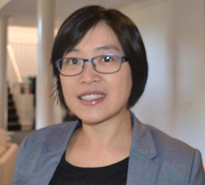 Dr Catherine Liew graduated MBBS and BMedSc from The University of Melbourne, and received her FRACP following completion of her training in clinical Cardiology at the Geelong and Austin Hospitals. Dr. Liew undertook cardiac subspecialty training in cardiac imagingfollowing a non-invasive cardiac fellowship at Western Health where she trained in echocardiography, transoesophageal echocardiography, stress echocardiography and cardiac computed tomography. Dr Catherine Liew provides specialist services in general cardiology, heart failure management, valvular heart disease, echocardiography and stress echocardiography. She is fluent in English, Cantonese, Mandarin and Malay languages.